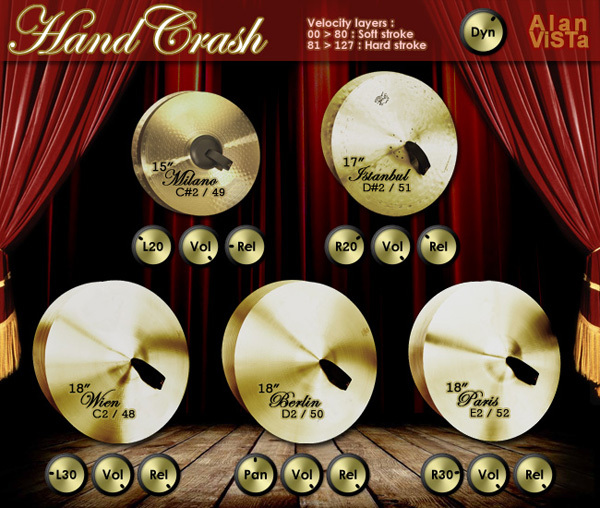 Hand Crash, Virtual percussion from Alan ViSTa. 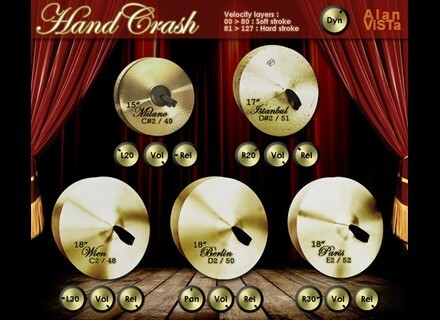 Alan Vista has released a free collection of 5 orchestral cymbals compiled in a VST and AU plug-in for Mac and Windows. Hand Crash features 10 samples in stereo 24-bit format that come from the University of Iowa Electronic Music Studios public domain library. You can adjust the volume and release as well as the dynamic amplitude separately for each cymbal. Hand Crash is a VST and AU 32 and 64-bit plug-in for Mac OS X and Windows, and it’s waiting for you at www.alanvista.com. Cross DJ for iOS updated to v2 MixVibes released the second version of its Cross DJ mixing app for iPhone/iPod Touch and Cross DJ HD for iPad.